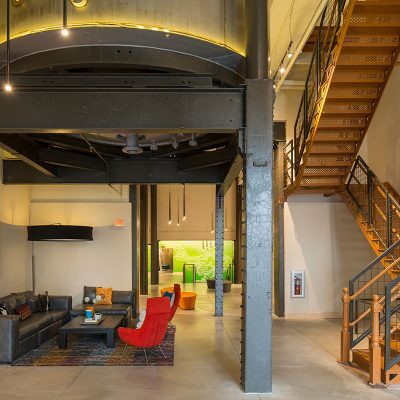 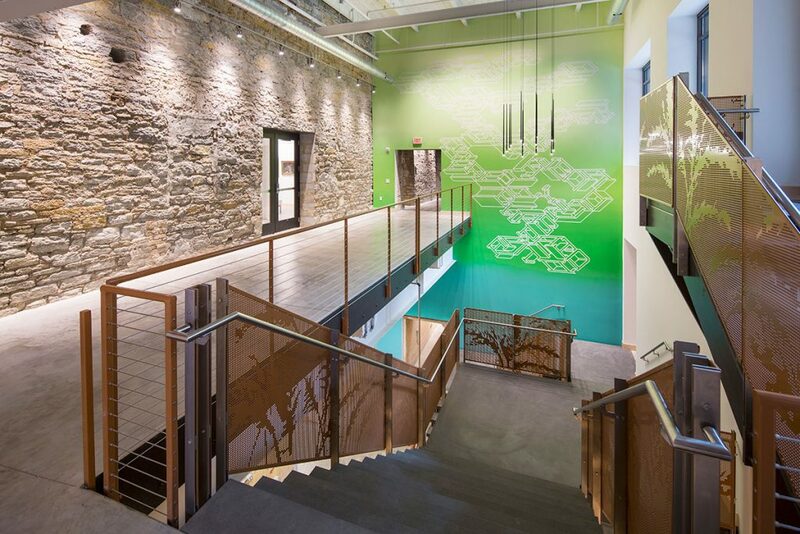 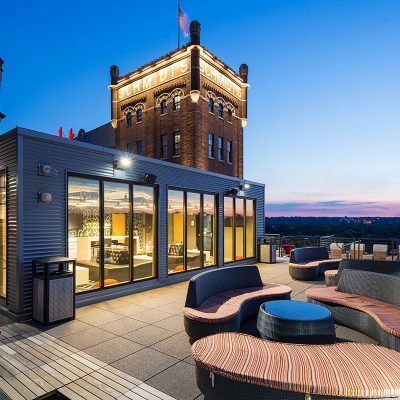 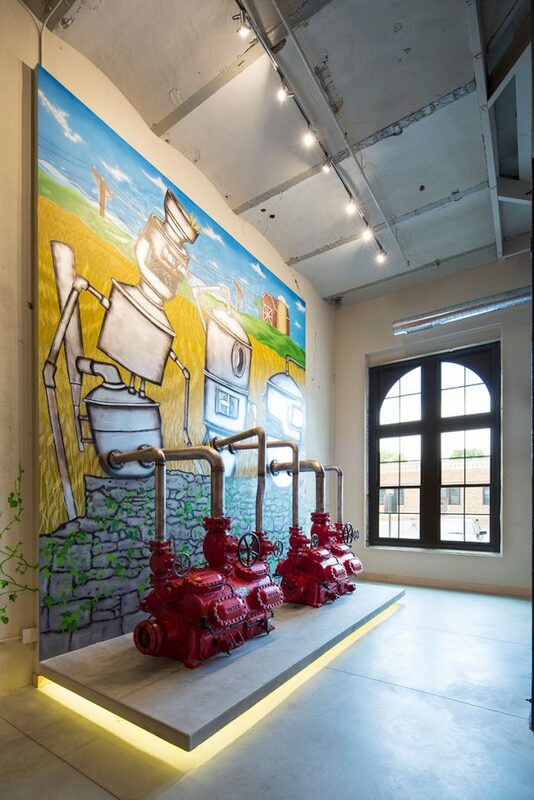 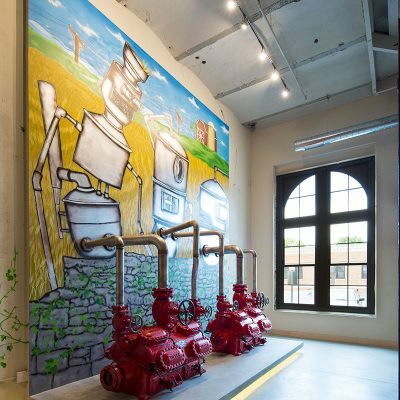 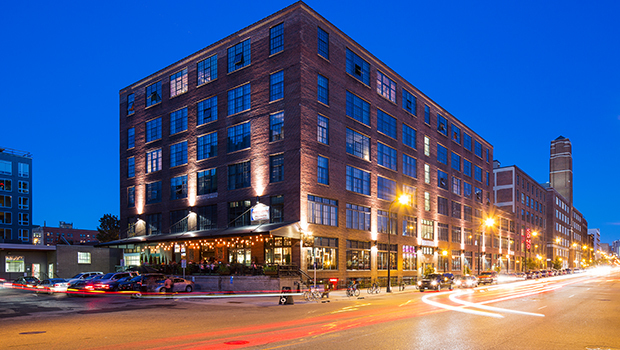 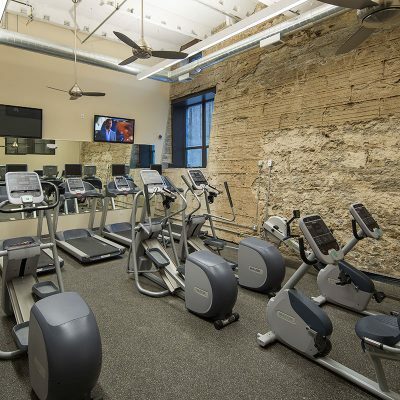 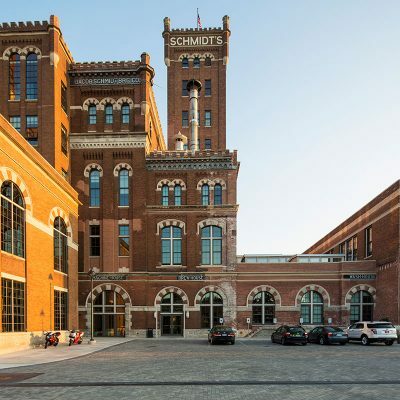 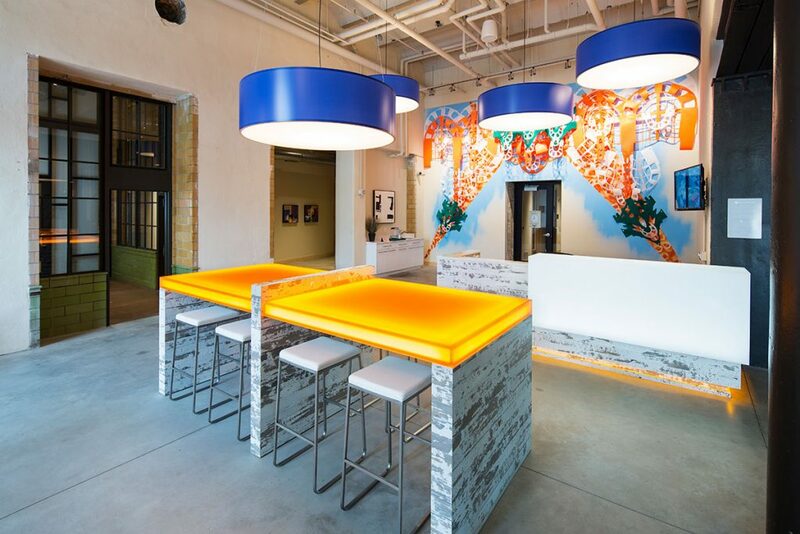 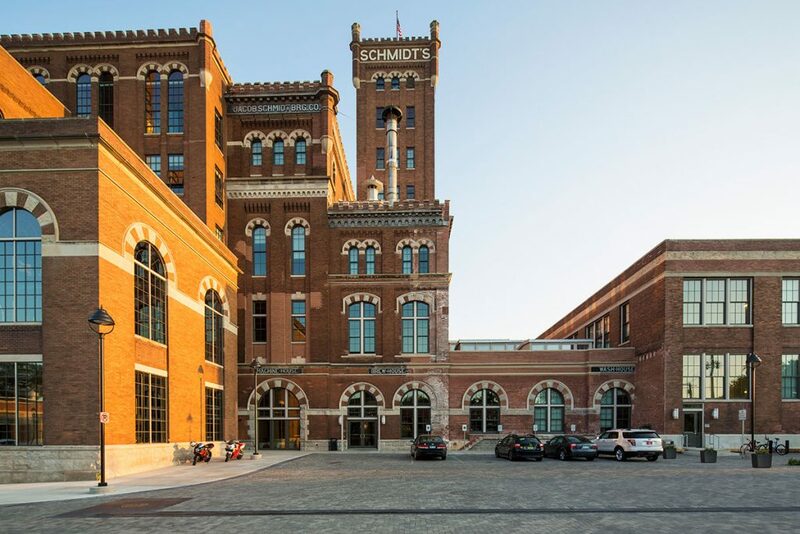 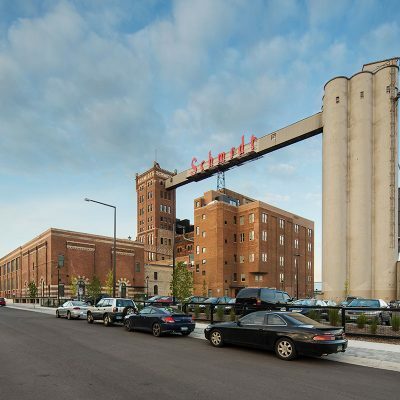 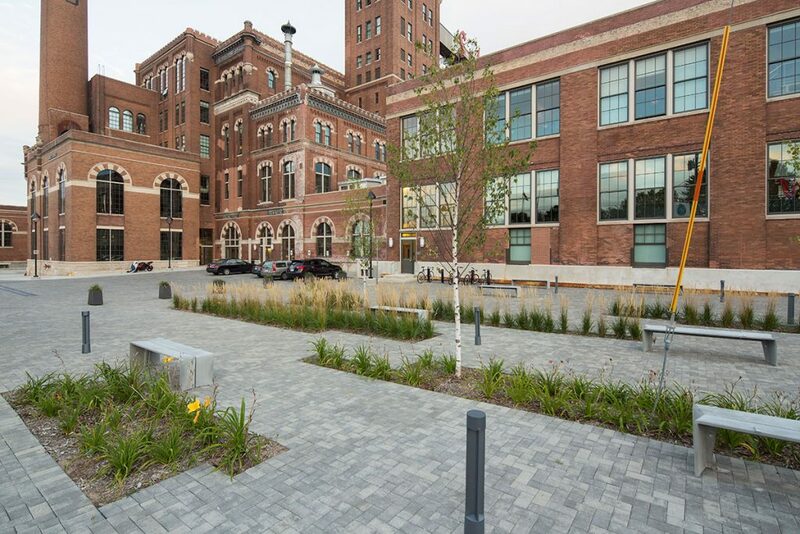 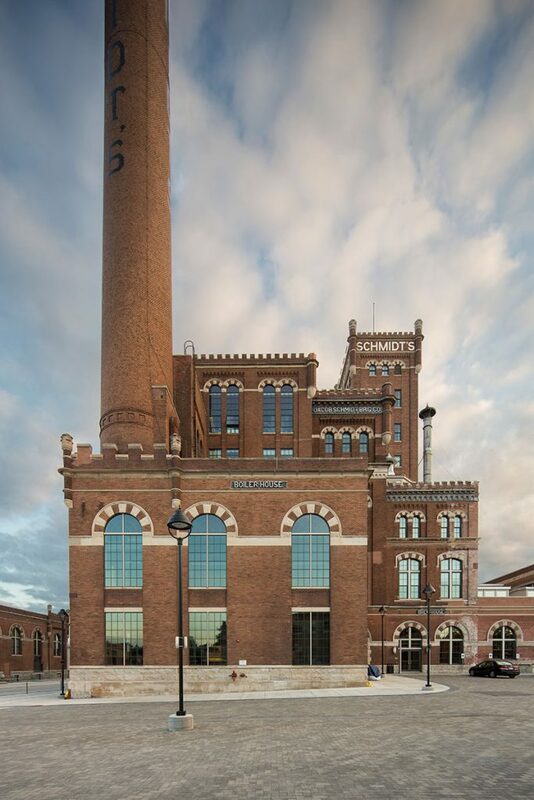 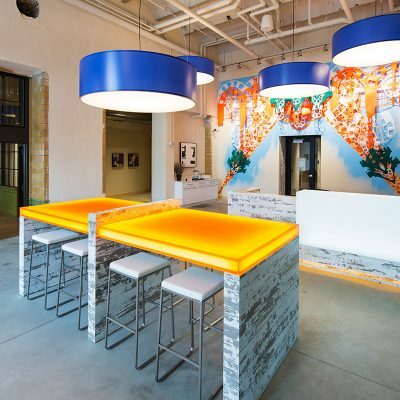 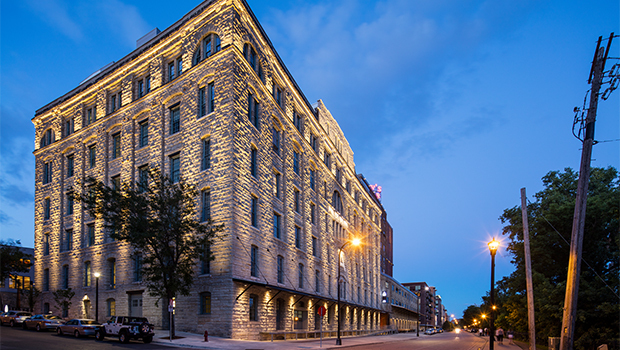 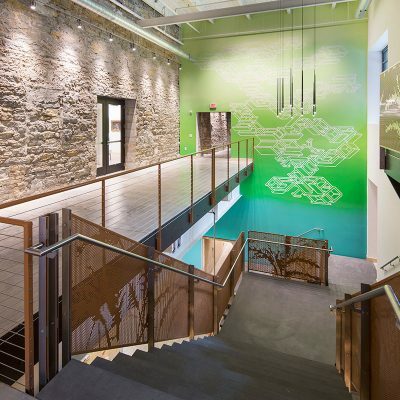 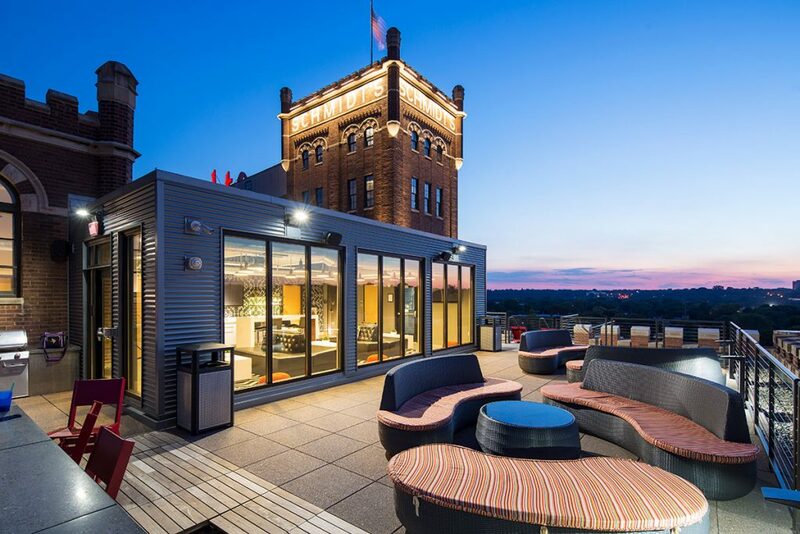 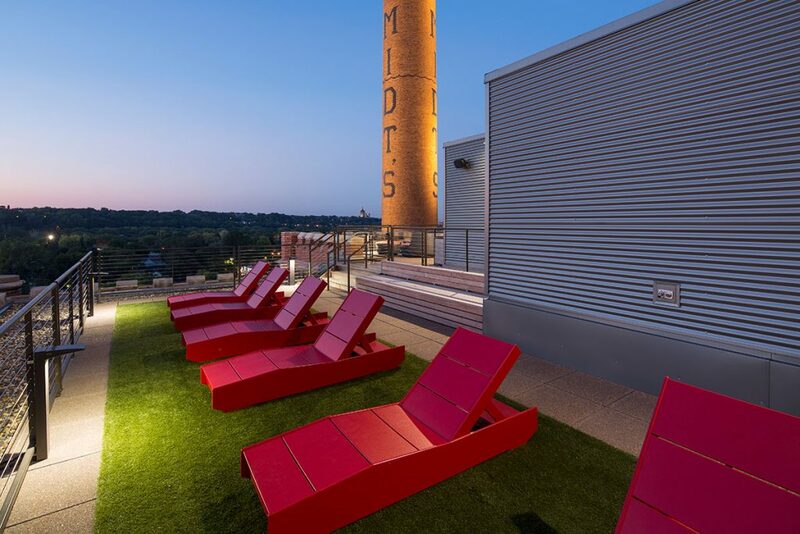 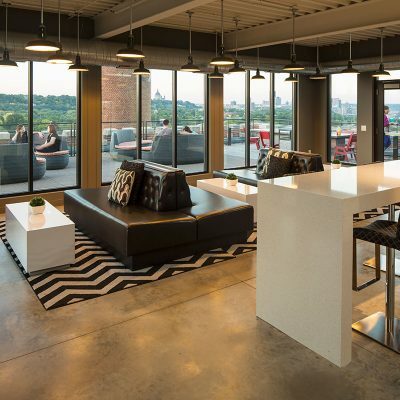 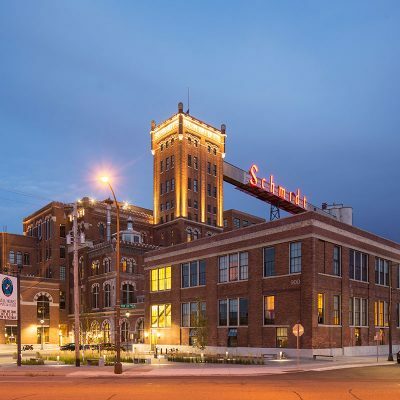 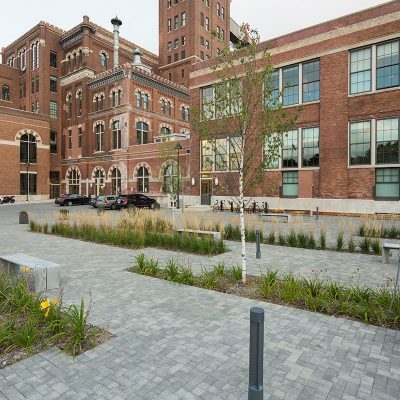 The adaptive reuse of the historic Schmidt Brewery into the Schmidt Artist Lofts continues the rich tradition of a 100-year-old neighborhood landmark in the city of St. Paul. 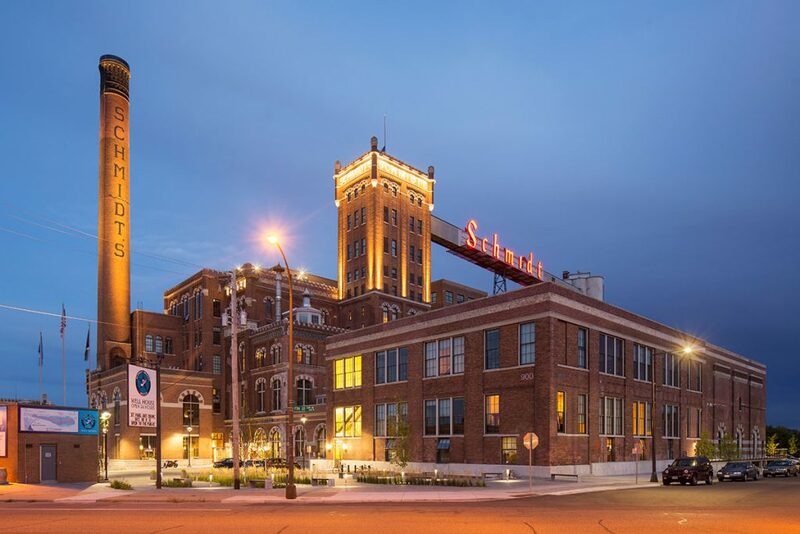 It also effectively preserves the Brew House and Bottling House as centerpieces of the newly created Jacob Schmidt Brewing Company Historic District. 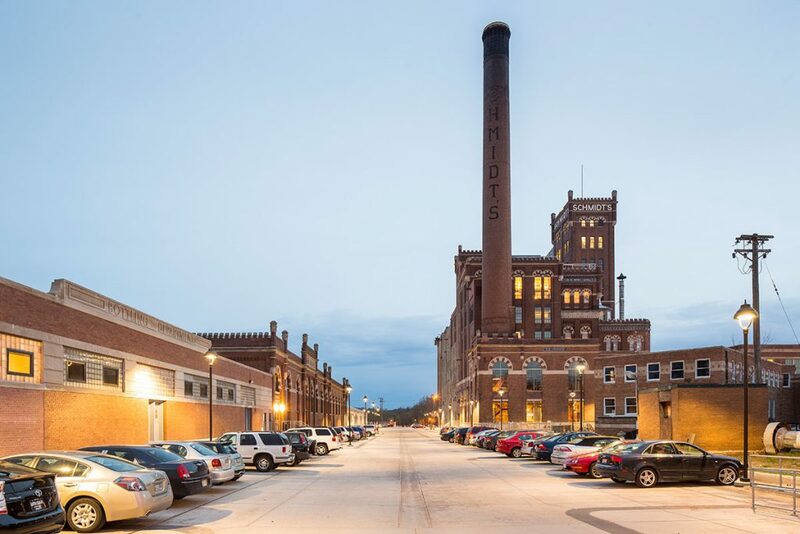 The brewery provided an exciting opportunity to preserve the structure by converting it into affordable artist live-work apartments. 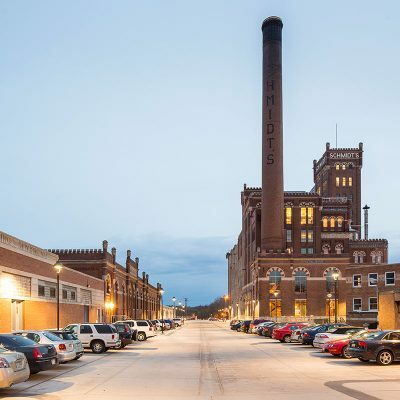 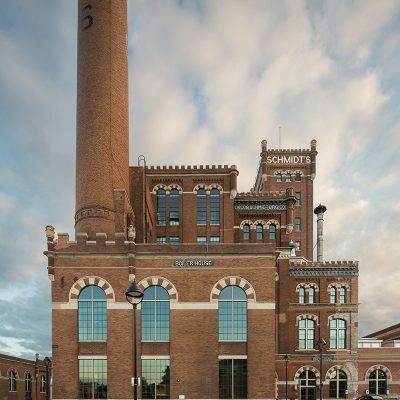 The scope involved restoring the structure’s exterior, which features crenellated towers and Gothic details, and converting the Brew House and Bottling House into 247 loft-style units. 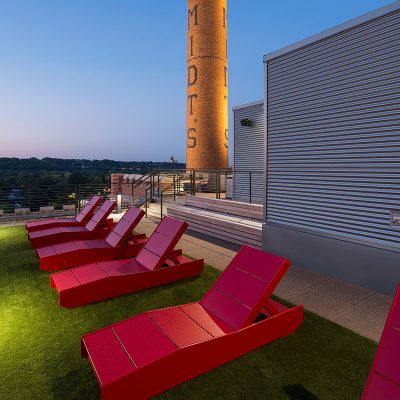 Thirteen townhomes with corbelled eaves and low-pitched roofs were also added to the site to provide a total of 260 units. 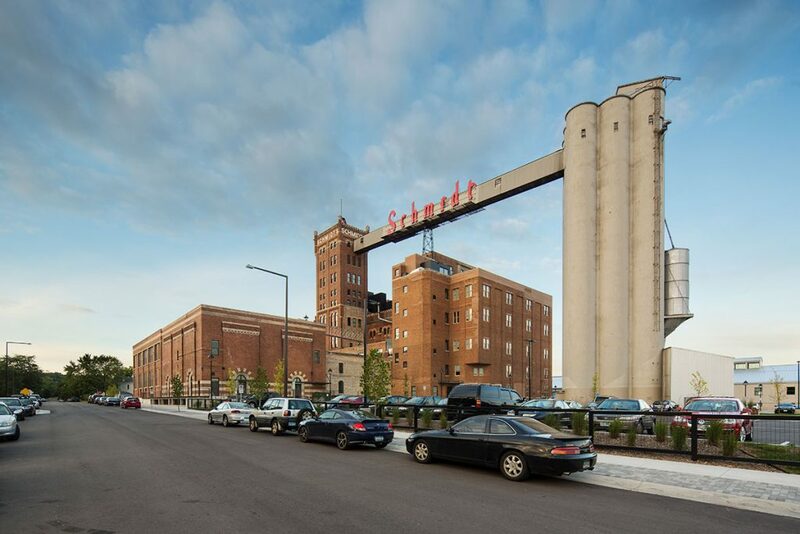 The Schmidt Artist Lofts’ artist-residents live and work within this vintage-meets-modern setting. 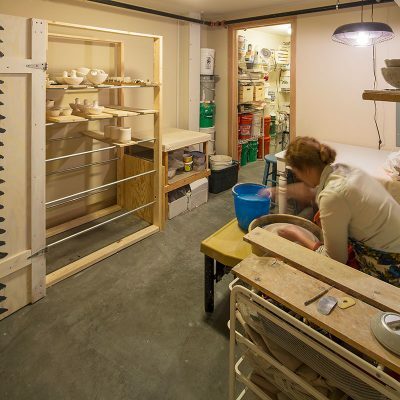 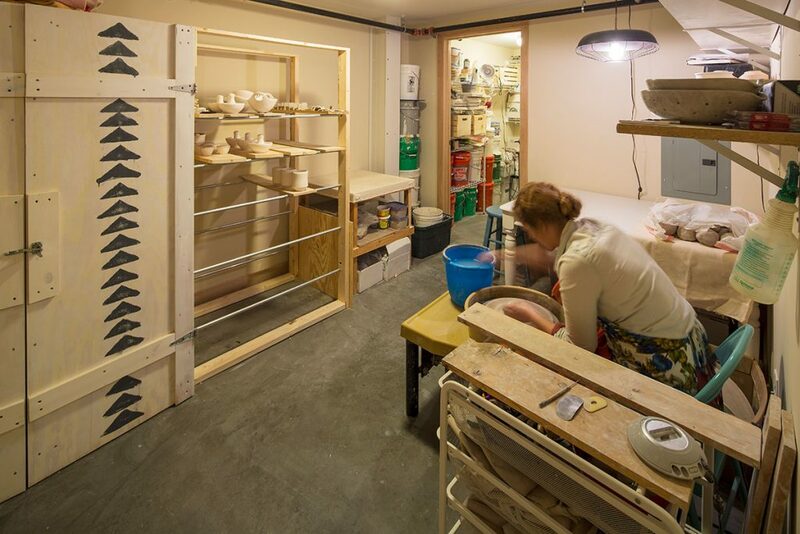 Many spaces were created for artists to produce and exhibit their work. 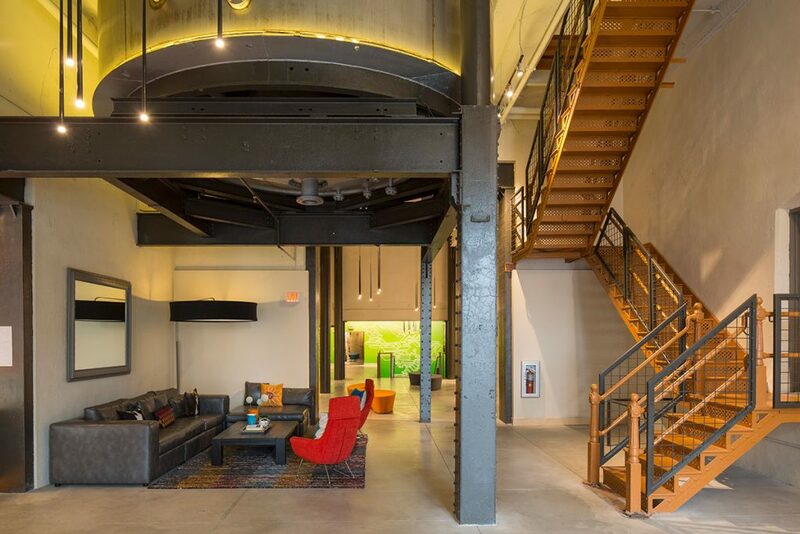 These studios incorporate additional features like Wi-Fi, state-of-the-art kilns, advanced acoustics, lighting capabilities, projectors, and the latest in sound recording/mixing equipment. 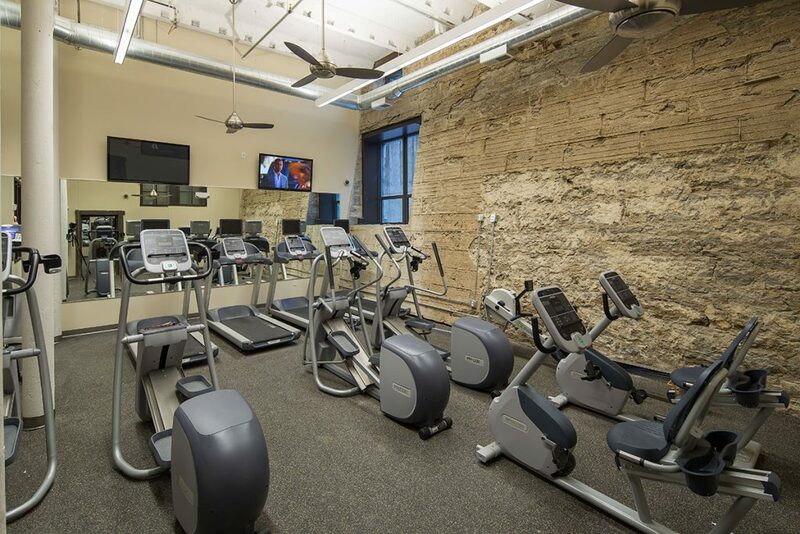 The team also incorporated studios tailored to pilates, dance, sound, media, and plays and performances. 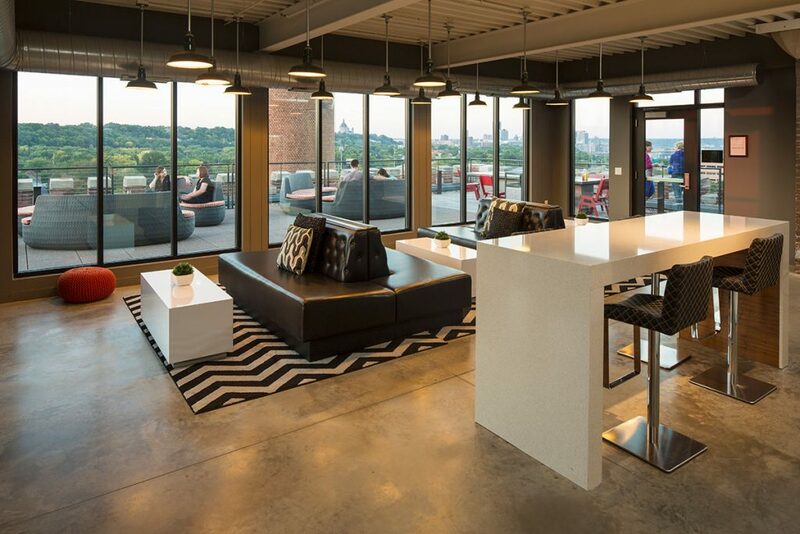 The BKV Group team connected these spaces with glazing to increase the opportunity for inspiration between residents.